Whenever we think back to the days spent in Lisbon while we lived there for a year, a stream of memories and impressions rushes through our heads. Often we don’t know where to start when people ask us to find proper words to describe this fascinating city. It’s a city in permanent change but with a timeless soul. Further, this guide contains recommendations where to stay on a budget and special tips where to find good food. Cafe Tati is a little café outside the Ribeira Market. It’s a small but vibrant place to drink a coffee and try one of the delicious selfmade cakes or soups. There is free wifi and free jazz sessions on Sunday afternoons. The interior covers a mix of furniture from different styles and times. There are many cosy corners with sofas and bookshelves. Originally started as a flower-shop, the owner expanded it to a café and gave it the proper name Flower Power. You’ll find it when you pass the famous Bica funicular. When you stroll around Bairro Alto during the day, visit this thoroughly refreshing place to take a garden salad or even to buy some flowers. Furthermore, you can buy unique homemade products or herbs to prepare your own dinner with. The most cosy café situated in Alfama is certainly Pois Café. Shortly after you enter, it feels like standing in your own living room. An island of sofas with different styles, shapes and sizes invite to make yourself comfortable. Plenty of books are arranged on sideboards, filling the time you have to wait for your order with a good read. Apart from sofas, you’ll also find chairs and tables to sit and eat full meals. Sometimes there are art exhibitions or even little concerts. Lost in Esplanada turns Lisbon into an oriental palace. Indian cuisine as well as Western meals are served here on colorful plates. 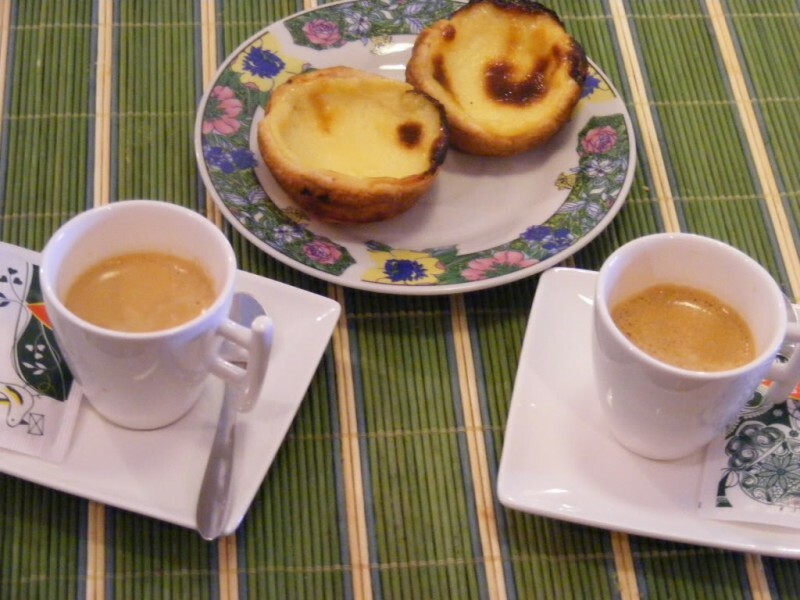 The café is located in Principe Real, the neighborhood of the majority of Lisbon’s trendy coffee and food places . The café is connected to a shop where you can find oriental clothes, spiritual items and decoration inspired by 1001 nights. The terrace comes alive with colorful umbrellas, mosaic tables and chairs. The view is just as enchanting as the café itself. 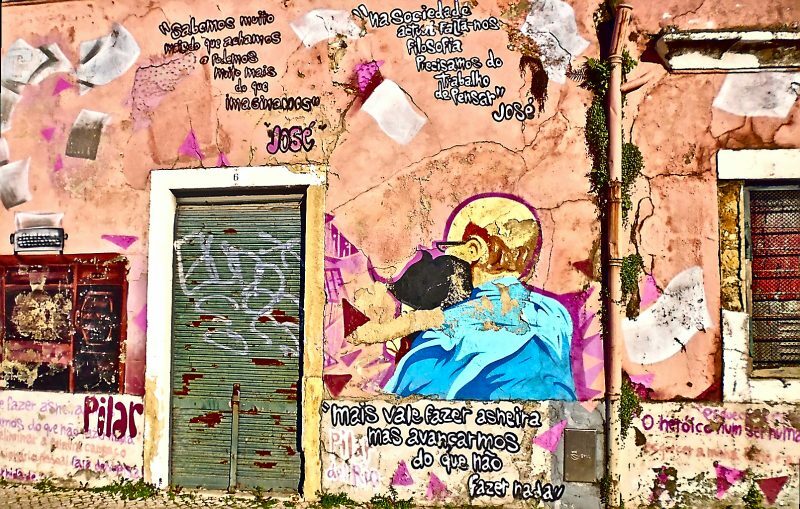 RDA stands for Rua das Anjos and is an alternative place in the area of Martim Moniz. Viewed from afar it is a bicycle repair shop but if you take a closer look, you will quickly recognize that RDA is more than the outer look might make it appear. It’s a quite unusual place to eat, drink and connect with interesting people as it is run by volunteers. Every Wednesday, there is a cheap self-service vegan dinner, mainly consisting of raw but fresh, healthy food. RDA is a meeting point for alternative locals, real hippies, travelers and open-minded people who are always up for a good talk. Apart from vegan/vegetarian food, you have the choice to make your own pizza. Consider that it’s self-service, that means: don’t forget to clean your plate after you finished. Whenever friends and people we encounter ask us which is our all-time favorite travel destination in Europe, a smile is flitting across our faces and our eyes meet. Our eyes begin to sparkle and deep in our hearts we feel this stitch that reminds us of an unforgettable summer. 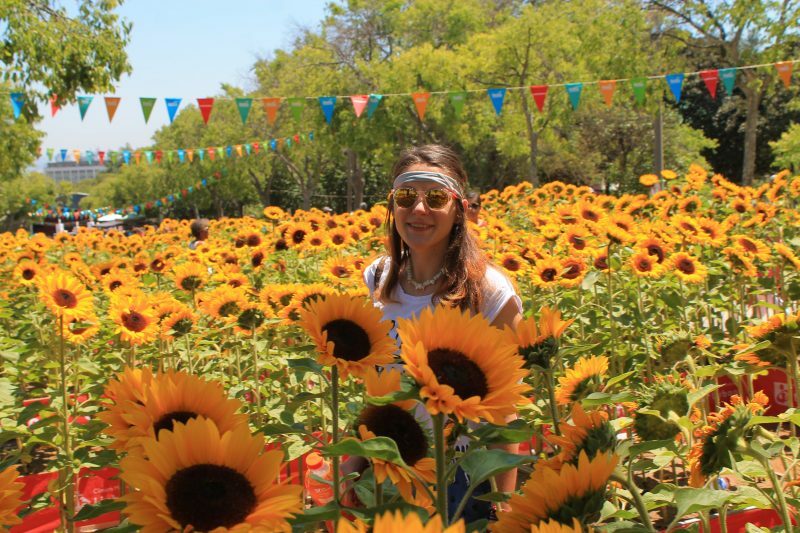 An unforgettable summer in Lisbon, where magic happens day by day if you keep your eyes open and let your heart speak. Lisbon is built on seven hills, offering spectacular views from so-called miradouros. There are countless of them, scattered all over the city. It requires quite some time to discover them all. 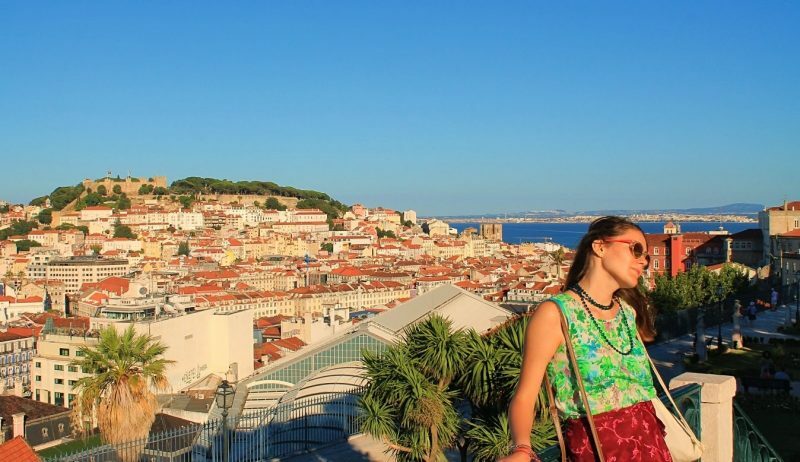 If you have no idea where to start exploring Lisbon, pick a miradouro from the map and you won’t be disappointed. There is no better way to end a day than with a beer in anticipation of the sunset. Miradouro de Santa Catarina is probably the most popular miradouro among locals and tourists. Especially in the evenings it’s a crowded spot providing the best view of the famous bridge Ponte de 25 Abril as well as the Jesus statue of Alcântara. Miradouro De São Pedro De Alcântara can be seen as the most beautiful and diverse miradouro, resembling a window into a fairy tale world. Artists sell Lisbon-inspired water color paintings to tourists, street musicians hold performances, people gather to enjoy a beer and the sunset. A city without parks is like a human without lungs. A park is the green lung of a city, especially in metropoles in which concrete trumps greenness, parks are of high importance. 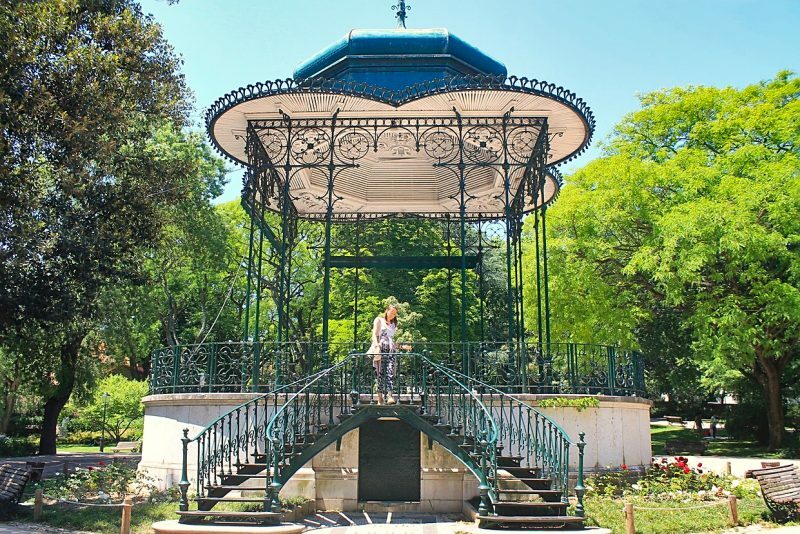 Parque Eduardo VII is a park located next to the famous roundabout Marquês de Pombal. 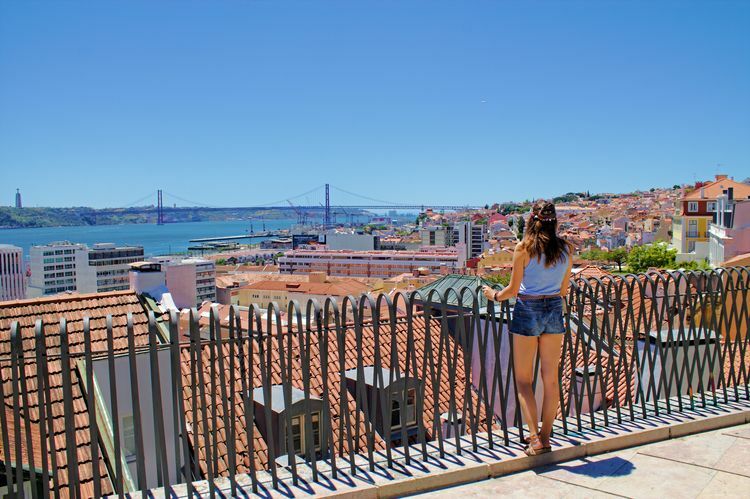 Sitting on top of the hill, you can catch a distant view of the old town and the Tejo riverside. If there is a law for Sunday afternoons, then it definitely includes a stroll through Estrela Park. This enchanting park is home to redwood trees and cactus you can rarely find growing in a city. In the middle of the park there is a charming pavilion that looks like a remnant from another time. Sometimes they offer free Salsa classes there. A lot of people come to the park for doing gymnastics, yoga or meditation. Once a month, a handicraft market takes place there. 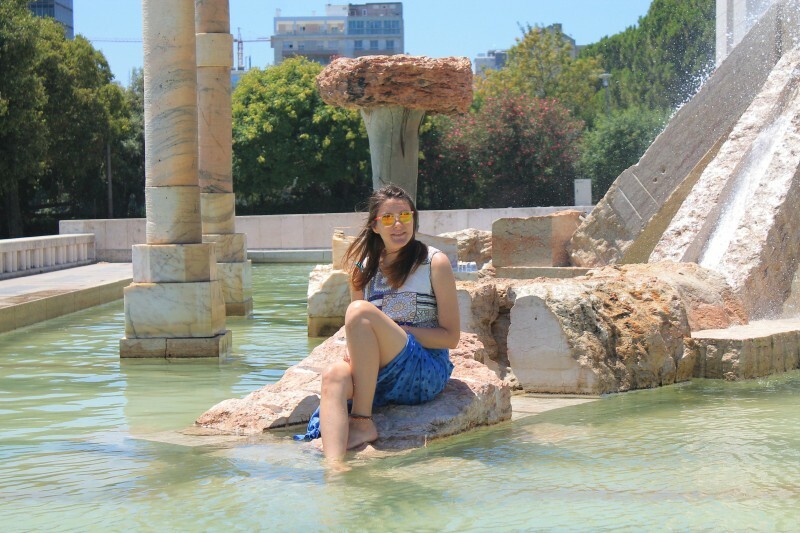 You happen to be in Lisbon during the hottest time of the year? 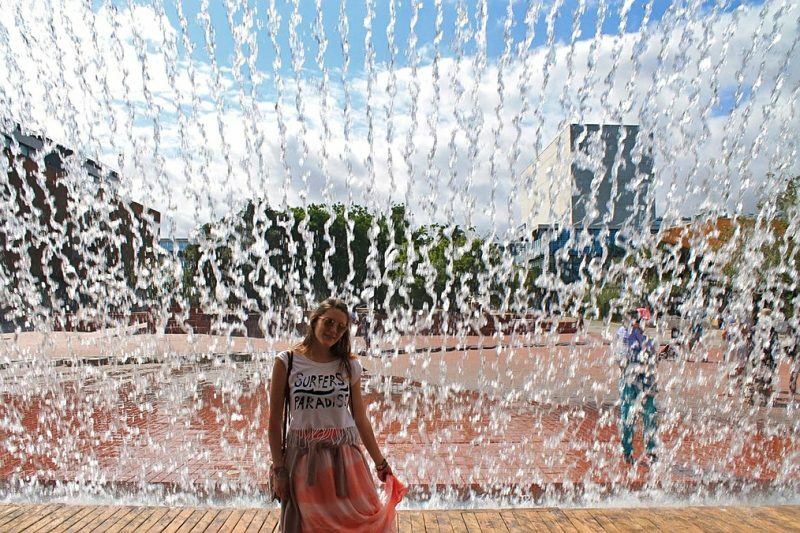 For those who can’t make it to the beach, watch out for fountains for a little cool-down. Oriente offers a diverse choice of activities. If you’re looking for a cooling alternative, check out the water park and walk under the water shaped bridge for a cool mist on your skin. The Oceanário is also located in Oriente, Europe’s biggest underwater museum. Definitely worth a visit. 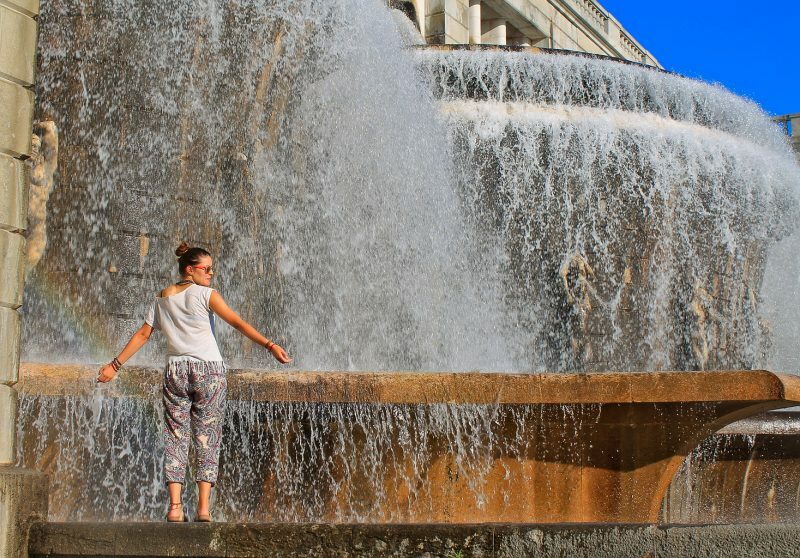 Fonte Luminosa is the absolute highlight among all fountains in Lisbon. Get ready for an incredible water show. Torrents of water breathlessly rush down into a tier of basins. What would Alfama and Bairro Alto be without the Portuguese affection for fancy decorations, no matter if there is an occasion to justify it. 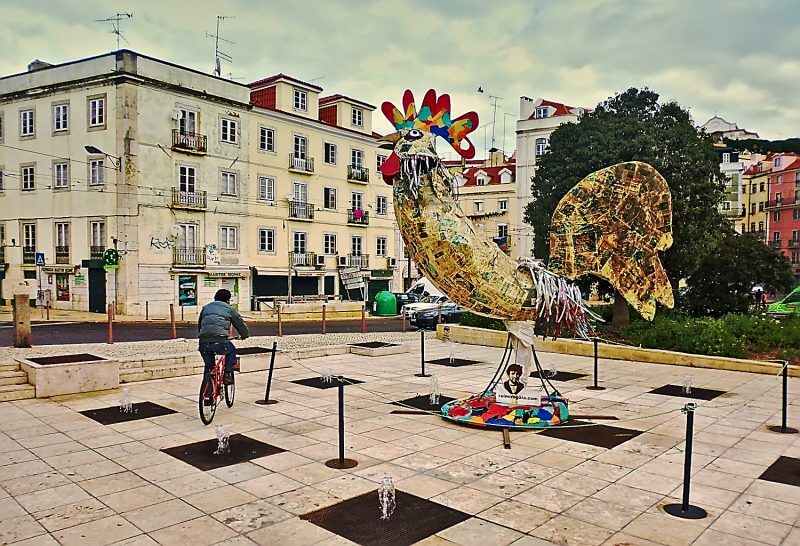 The Portuguese love to decorate their streets with colorful arts throughout the whole year. 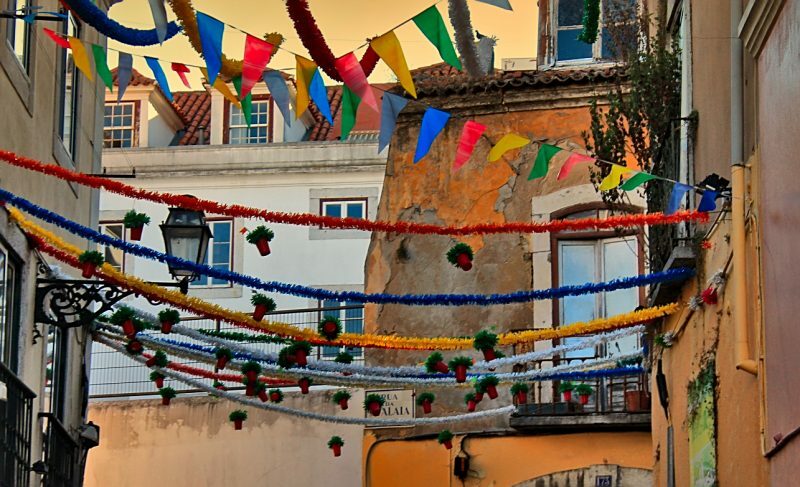 Colorful flags, lanterns and garlands transform Lisbon’s old town into a parade of visual delights. Azulejos are traditional Portuguese tiles used for decoration of walls, they can also be spotted in metro stations. Very common are tiles with images of saints which are attached on house walls symbolizing house guardians. 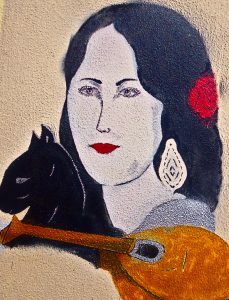 Fado is traditional Portuguese music, expressing the deep meaning of saudade. A feeling of sadness and yearning for something that is locked up in your heart. In the old days, women would yearn for their husbands embarking on a long journey in the far distance. 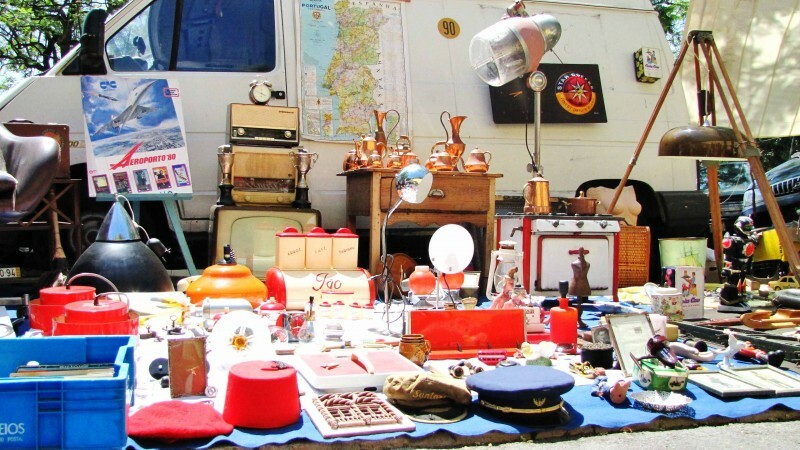 Immerse yourself in a world of bizarre items found on Feira da Ladra, Lisbon’s oldest flea market. 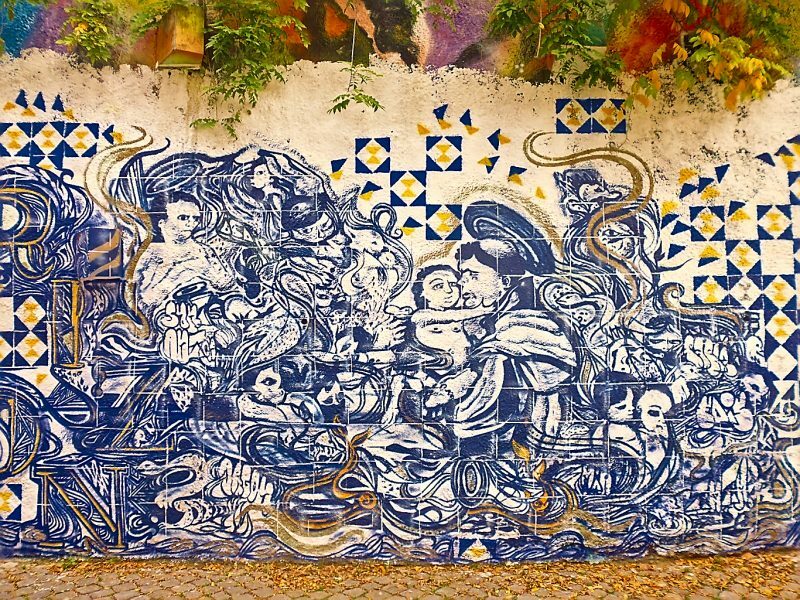 Street artists from all over the world have immortalized themselves in Lisbon’s streets. Head towards Picoas and try to understand the meaning of what is tagged on the walls of three abandoned houses. Monsanto Panorâmico is an abandoned restaurant reminiscent of what used to be a getaway for the local citizens. There are various abandoned places in Lisbon to spot, as a consequence of the steady increase of rents. Are you interested in urban exploration? Check out our article about abandoned places in Lisbon. Lisbon is the most charming city in Europe. It’s a place where many different cultures come together. Bordering on the Atlantic ocean it’s a perfect beach getaway. Lisbon combines tradition and modern lifestyle. And most of all, magic is happening here day by day. We experienced love in this city of splendid light, our personal magic city. This place looks awesome <3 we always dream to go there! thanks for sharing your love for Lisbon! 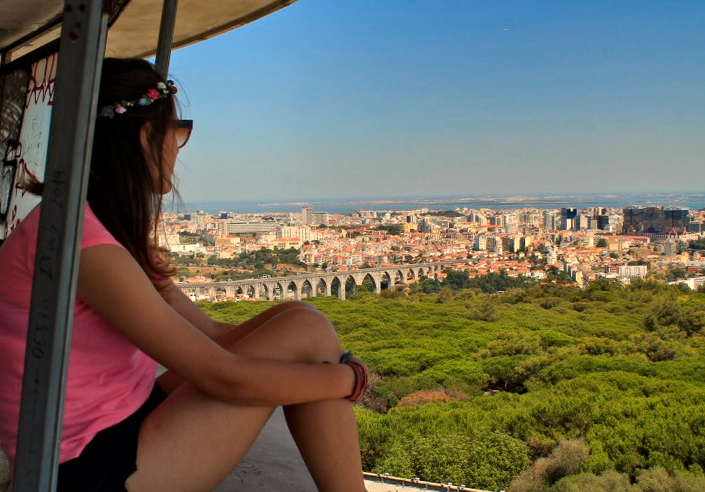 Don’t wait too long, Lisbon is waiting for you! 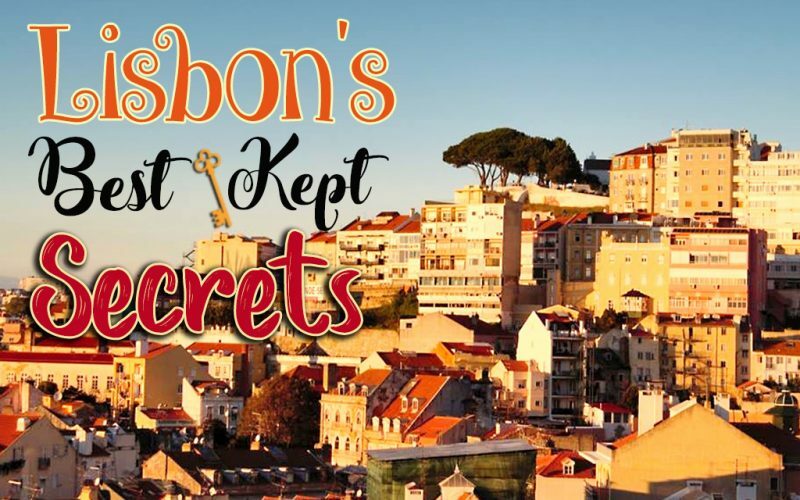 🙂 For more tips and things to do, check our other Lisbon articles. It was great to revisit this city through your lens and your beautiful writing style.Thanks for making this article guys!